The magnetic compass has been around for a couple of thousand years and used for navigation since at least the first millennium. Every Boy or Girl Scout has and knows how to use one. Its relatively simple design and four main points allowed travelers to seek their fortune by choosing North, South, East, or West. Big "I" Markets provides you with your own compass points in ACE, AIG, Chubb and Fireman's Fund when it comes to personal insurance for your most successful customers. The affluent program is the most widely accessed on Big "I" Markets. Our agents have written nearly $14 million in affluent premium with our premier market carriers. 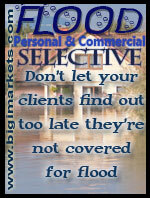 With Big "I" Markets, the choice is yours! One application lets you see which direction is best for your client. Chubb personal insurance is the premier insurer of high net-worth individuals in the U.S. With 30 years of experience specializing in the affluent market, they offer products and services designed to help protect the highly valued assets and peace of mind of affluent customers. Chubb offers an array of products ranging from auto to homeowners, valuable articles, liability and yacht insurance. Their mission is to continually evolve and expand the Masterpiece® suite - long considered the gold standard of affluent personal insurance - to provide new offerings that best meet the needs of high net-worth consumers in an ever-changing world. Fireman's Fund Prestige Portfolio is a premier provider for high net-worth, affluent customers. 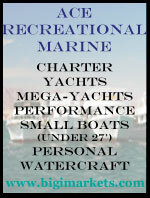 Products include home, auto, valuables, excess liability and yacht. For high net-worth and affluent customers, they offer customized and innovative products with creative, flexible underwriting solutions for unique and complete risks. Roughly 20% of our affluent new business premium comes from Broker of Record submissions. We do welcome BOR requests, and have a separate product set up just for that process. Please use the Affluent Personal Lines Broker of Record Change product and submit a "quote request" to create a file on Big "I" Markets if the client has a policy in force for Chubb, Fireman's Fund, AIG or ACE. Coverage is not automatic with a broker of record submission. Each risk will be re-underwritten and accepted or declined based upon its attributes. All risks must meet the eligibility requirements of our program, as described on the Affluent Program underwriting and coverage page. Multiple Policies/Book Roll: Contact Nancy Doherty (nancy.doherty@iiaba.net) for additional information or to discuss a large transfer. Requests involving multiple policyholders via book roll must be entered separately in Big "I" Markets. Please use the "Request a Quote" feature for each respective policyholder. The Big "I" Markets Affluent Program is robust and popular, and the complexity can be tricky, which is why BIM has three experienced affluent underwriters dedicated to the program. If your account has features that aren't addressed above, or on the Big "I" Markets Underwriting & Coverage, page please go ahead and submit applications for consideration. It allows the underwriter to more accurately evaluate the risk by ensuring all information has been provided. Please note, not all carriers are available in all states. The above information is intended to be a general guide and is subject to change. Each risk is considered on its individual merits and may command different requirements of eligibility. Wrongful Termination of Employment Extension- covers wrongful termination of an employee. Employment Practices Liability Extension- covers wrongful dismissal, discharge, or termination of employment. Employment Practices Liability Extension with Limited Coverage for Harassment of a Third Party covers wrongful dismissal, discharge, or termination of employment and third party sexual harassment coverage. Learn more about Employment Practices Liability Endorsements that can be included with Fireman's Fund Pro Gard® E&O policy form available exclusively to Big I Members, by requesting a coverage comparison from your Big "I" state administrator. Find your admin's contact at www.iiaba.net/EOContact. These descriptions of coverage are abbreviated and are subject to the terms, conditions, and exclusions of the actual policy, which forms the contract between the insured and the insurance company. By: Big "I" Umbrella Program Manager, April Shrewsbury. We've all heard the stories. A family of five is burdened with horrific medical bills because of an accident caused by a drunk driver who couldn't afford insurance due to his bad driving record. A child walking to school faces a lifetime of difficulty after being struck by a texting driver-a struggling college student with state minimum auto limits. A pair of retired sweethearts fall victim to a hit-and-run driver. As an insurance agent, you can't physically protect your clients from heartbreaking situations like these…but they do rely on you to protect them financially when tragedy strikes. This is where excess Uninsured/Underinsured Motorist Coverage enters the picture. How effectively can you explain UM/UIM coverage to a client who doesn't know much about insurance? In layman's terms, UM/UIM coverage is insurance that pays for the client's injuries from an accident caused by the owner or operator of an uninsured or underinsured vehicle. Excess UM/UIM from a personal umbrella policy pays after the auto policy's UM/UIM limits have been exhausted. It's important for a client to understand that UM/UIM coverage comes into play when an insured is involved in an accident and the person who caused it either doesn't have any insurance or doesn't have enough insurance to pay for your client's injuries. It would also come into play if they were the victim of a hit-and-run (in a vehicle, on a bike, or as a pedestrian), leaving them with nobody's insurance policy to collect against...making it an "uninsured" motorist claim. 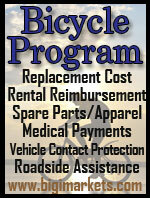 According to recent estimates by the Insurance Research Council (IRC), roughly one in seven drivers is uninsured. Add to that the number of drivers who carry state minimum auto limits, and it's enough to make a person want to stay home for good. Unfortunately, this should come as no surprise, given the type of TV commercials we see these days from some auto insurance companies. Too often, the emphasis is on getting a cheap rate, and drivers are besieged with ads about that encourage them to buy "state minimum" auto limits in order to save money. There's no denying that it can be a temptation in a struggling economy. All the more reason to make sure your clients are protected from the drivers around them, with UM/UIM coverage on both their auto and personal umbrella policies. 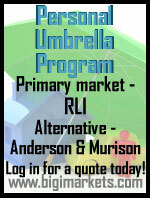 Visit www.iiaba.net/Umbrella to learn more, or log into www.bigimarkets.com. Congrats to our agent in Illinois on a Building Pac sale of $9,463 in premium!